There’s a growing anxiety in the digital world that robots could pose a genuine threat to many marketing roles as AI and machine learning continue to grow in strength. It’s kind of funny because that fear is an emotion and emotion is the very thing which sets us apart from machines. To ensure our survival as marketers we need to connect with people on an emotional level to distance ourselves from the machines and create more meaningful interactions. This was the formula for PPC advertisers around the world when creating ad copy. A formula which robots can mimic rather easily. Fortunately, in 2016, Google began rolling out expanded text ads, giving digital marketers for space to create their ad copy. With this came the opportunity to create an alternative to functional ad copy. For us, the first step is chatting with our client. They will naturally have an understanding of who their audience is. If you’re an in-house marketer, you should spend time speaking with departments who sell to your customers to gain insight into who your brand’s audience is. Better still, if you can speak with your customer care team or in-store retail teams you gain great insights into both your audience and their interaction with your brand to date. With an idea of who your audience is, you now need to validate and dig deeper. 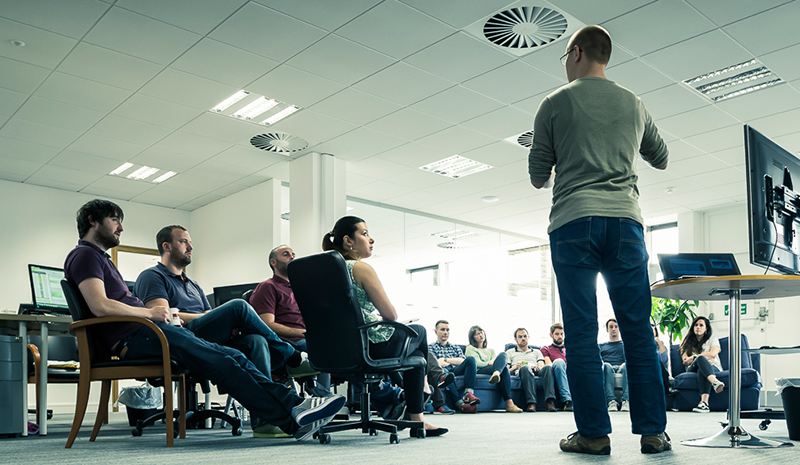 Look at your data to sense-check the audience defined by your client or in-house team. We did this for a client who said their audience was families. Once we looked at Google Analytics, we found a general site traffic closely resembled what the client had outlined. However, after digging a little further we could see transactions were largely being completed by women. One of the most popular talks at Wolfgang Essentials this year saw Wil Reynolds’ insist digital marketers spend some time speaking with customers to really understand what motivates them. One option is to send out surveys or visit stores, but response rates and response quality will vary. I overcame this obstacle by thinking outside the box and realising every moment is an opportunity for audience research. A simple compliment to the food at a dinner party can easily lead to where my friends shopped. This gave me a wealth of information on our client but also when further to provide insight on their competitors. Many of my friends said they shopped online to save time, but this conversational research meant I could go even further. I asked my friends what did they do with their extra time. This question would fuel our emotional ad copy. My friends were spending their saved time with family, working out or just sitting down and relaxing in front of the TV. The eureka moment; we’re not selling groceries, we’re actually selling quality time. This would be the basis of my test to see how effective emotional ads versus functional ads. I’m sure you can spot the difference as the functional ad copy is practical and to the point, whereas the emotional brings forward the idea that you’ll have more time to do what you love. Even in tests like this, it’s critical you continue to pay attention to your core KPIs. In this situation, Tesco wanted to ensure their activity earned new customers, retained existing customers and generated revenue. Our tests returned some really interesting results. Of particular interest was how functional and emotional ads resonated differently with new and returning customers. Emotional ads resonated best with returning customers, attracting 4% more new customers than functional ads with the same ad spend. Returning customers clicking on emotional ads spend €4 for every €1 generated from new customers after clicking the same ads. These clicks also cost less than new customers clicking emotional ads. Functional ads still held their own too, attracting 8% more new customers than emotional ads with the same ad spend. These new customers spent 8% more than returning customers clicking the same ad. These customers also had a CPA 6% lower and generated more revenue than returning customers. ...is once you increase your knowledge, you can always go one step further. Based on the results of this test, we decided to use AdWords IF functions to only show emotional ad copy to returning customers and functional ad copy to new customers. Be sure to sign up to our newsletter so you don’t miss out on those results. We’re not robots. 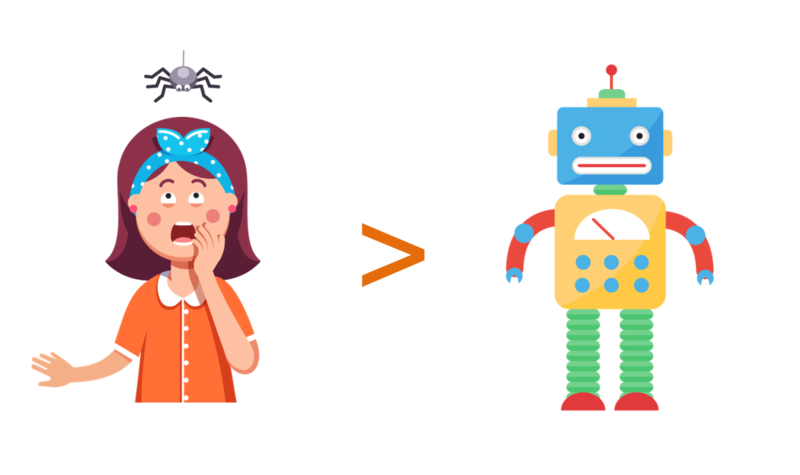 Your customers are not robots. You’re a person advertising to people so let that shine through in your ad copy. Choosing emotional ad copy at the right time can help you connect with customers in a meaningful and profitable way. 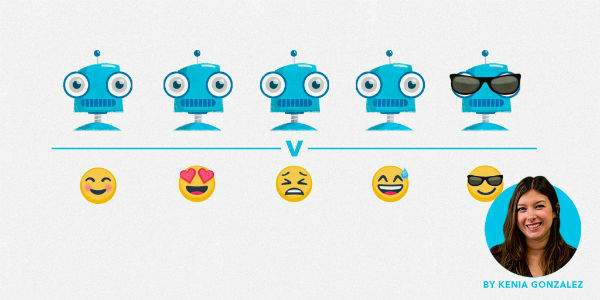 Plus, by using emotion in your ad copy sets you apart from those scary robots!